These toadstools are incredibly striking from far away and up close! 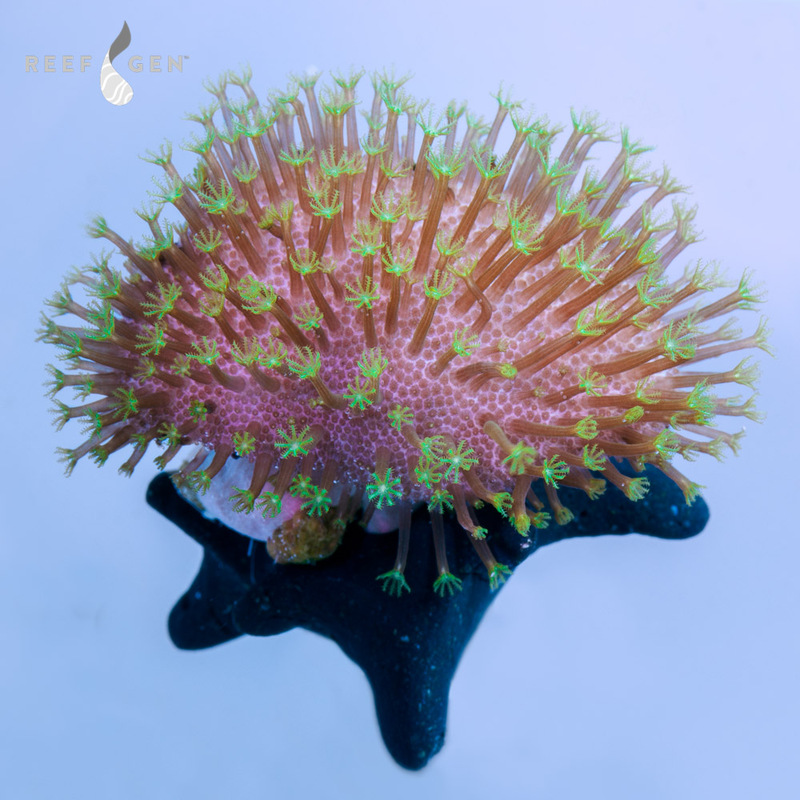 Their bright green polyps contrast dramatically with their creamy pink-purple base. These settled babies will all grow quickly into classic mushroom-toadstool shapes.